Last October was supposed to be a very happy time in my life, as I was invited to hold a speech on behalf of the Israeli delegation in Hamburg, Germany, in front of many young Germans – activists of the ruling party CDU, led by Chancellor Angela Merkel. However, although my expectations to hold this speech after a successful annual meeting of both our governments, that was planned to take place in Berlin – PM Nethanyahu and his ministers had to stay in our multifaceted country. They had to prevent Israel from catching in flames while terrorists are stabbing and shooting Jewish civilians – including women, elders and teenagers – all over Israel, as a direct result of continuing incitements, made not only as usual by the textbooks of the Palestinian Authority’s formal education system, but also by the Chairman of the Palestinian Authority, Mahmoud Abbas. Just before he spoke about the Temple Mount on the official PA TV Channel and said that the Jews “…have no right to defile it with their filthy feet… We will not allow them to”. 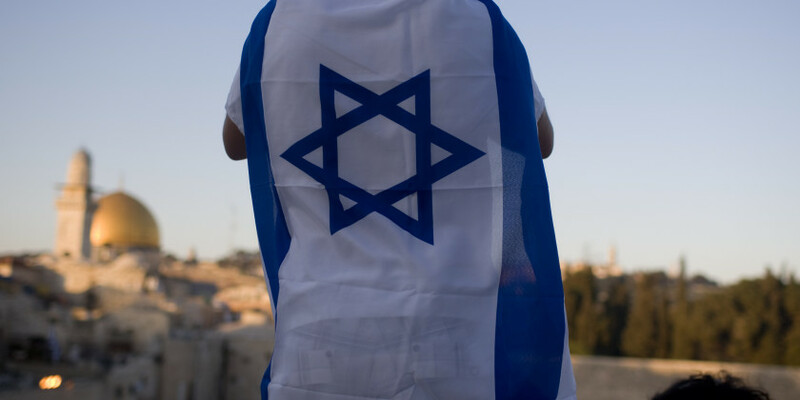 It is time that the West will admit it loud and clear: the actions of terror against Jews and Israelis are not – and never were – a result of any issue of borders, but the are questioning the natural right of the Jewish people to hold any kind of statehood for their nation. Could Christian Europe imagine, the place cherished by Jesus himself as the Holy of the Holiness – more than any other place on Earth – would be declared as no less than Judenrein?! Was this quote of Chairman Abbas mentioned at all in European media? Let’s assume it was… However, how many times and for how long did it make headlines compare to any sad story about any Palestinian suffering following the long-standing refusal to negotiate, which is the policy of Chairman Abbas himself? How many European politicians made headlines, press releases or, at least, comments regarding Chairman Abbas’s racist declaration? As noted by the Meir Amit Intelligence and Terrorism Information Center, wide range of anti-Israeli organisations, networks and trade unions in Western countries, participate in “consciousness raising” propaganda, whose objective is to defame and isolate Israel. For the most part, this world-wide campaign is conducted in collaborating with radical Islamist organisations in what is already defined as the “New anti-Semitism”. This definition is due in respect of its reliance on two fundamental and permanent characteristics which defined all of the varied and the modified kinds of the anti-Semitism in all times – the proud parents of all many different anti-Semitic manifestations: Lady Prejudice and Lord Double Standard von Obsessionland… As we notice this pair, any version of anti-Semitism could be identified and its countless forms would be discovered, since both of these evils are reflected in all different types that this global malady has taken through the ages. In other words: when the obsession of this perfect match refers to Israel under the cover of “legitimate criticism of governmental policy” – there is no place to any further question or doubt about the deep, dark – and many times even lacks of self-awareness – real catalyst of the critic toward the Jewish collective, represented these days by their nation-state – Israel. Even in progressive Hamburg, where I hold that short speech last October, there is an organisation called “the Islamic Centre of Hamburg“, and commonly known as the “Blue Mosque”. A beautiful name for a dangerous organisation: the mission of this centre of radical Islamist is to spread the idea of a radial Islamist theocratic state through Germany and whole Europe. This is not just my personal point of view but what the Hamburg Verfassungsschutz (Protection of Constitution Service) said in their yearly report, every year. Amongst other things, the Blue Mosque organised anti-Semitic demonstrations in Berlin, sponsored by Iran. The Blue Mosque offensively calls for the installation of a radical Islamic theocratic state, trying to lure in new immigrants to their movement for a Caliphate in Germany and around the entire world. One year previously to my last visit to Hamburg, I widely described to my German audience how the German tax-payers sponsor activities of similar NGOs (not this one) inside Germany. Nevertheless, it is about time the German people will be informed how their taxes used to sponsor anti-Israeli and anti-Semitic NGOs in the Middle East itself – of course not deliberately and for sure not functional to the German government’s policy, but as a result of a persistent bureaucratic failure, which stands against the German policy and first and foremost – against the German values. Well, it is well known the German government kindly provides financial support to many NGOs, pretend to be focused on political advocacy in Israel and the Palestinian Authority, for promoting peace, democracy and other humanistic values of today’s Germany. Millions of Euros are transferred through a variety of frameworks; including (but not only) political foundations associated with German political parties, German governmental organisations, churches and independent development NGOs. Officially, the aim of this funding is “combating poverty; securing food; establishing peace, freedom, democracy and human rights; shaping globalisation in a socially equitable manner; and preserving the environment and natural resources”. However, a study made by NGO-Monitor Research Institution found already some months ago, that in contrast to these moral objectives – much of this funding is actually provided by some organisations and foundations – as Rosa Luxemburg Foundation and Heinrich Boehel Foundation – to NGOs that promote demonisation of Israel and biased boycott movements as part of political warfare against Israel. In some cases, German money sponsors even blatant anti-Semitism, old school style. Only few months ago, Iran’s Revolutionary Guards Corps were caught sponsoring a bomb-making ring in Bahrain and attempting to smuggle weapons to Yemen. But if you still believe this instability will stop at your door, tell it to the director of the Blue Musk in the Free and Hanseatic City of Hamburg – at least SOMEONE will be laughed at your joke.